Every January, Charlotte celebrates the life and work of Dr. Martin Luther King, Jr., one of the country’s most influential leaders. It’s a time for the community to come together to honor Martin Luther King’s legacy and remember the importance of his fight for equality. Charlotte holds a number of events that bring people from all communities together, just like Dr. King did during his lifetime. Get out and show your support for celebrating the life and value of all people at one (or more) of these events. The City of Charlotte and Mecklenburg County have teamed up to make local MLK day celebrations among the biggest in the country. The Community Relations Committee organizes a number of events that take place over three days starting the Saturday before Martin Luther King Jr. Day. 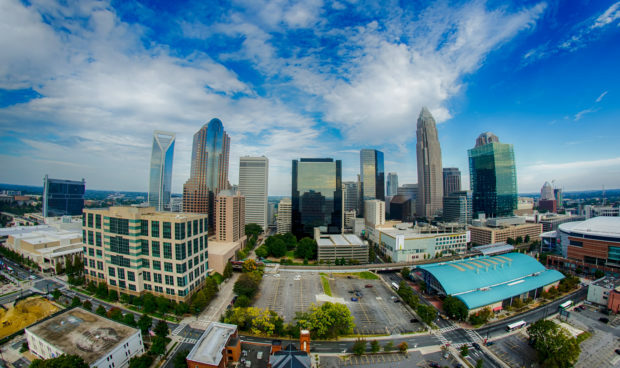 If you want to know what they have planned for this year and get the most updated information, check out the Community Relations page on the city of Charlotte’s website. The 32nd annual Carolinas HealthCare System Martin Luther King Jr. Holiday Parade is sure to attract thousands of people from around the area. This year the event is expected to be even bigger and better than Charlotte’s 2017 MLK Day parade. The parade will be held on Saturday January 13th starting at 10am. The festive procession is set to include over 100 marching bands, dance teams, drill teams and organizations from the local area. Typically, the parade lasts about two hours, starting at 9th St. and North Tyron then finishing at Stonewall and South Tyron. “Everyone can be great, because anyone can serve.” This belief that Dr. King shared with the world still holds true today. After the parade on January 13th you and your family can give back to the community during the Martin Luther King Call to Service events. You can choose to participate in a number of family-friendly service activities that promote the ideals that Dr. King lived by. The Call to Service volunteer opportunities are organized by Hands On Charlotte. Volunteers can sign up for a variety of activities from noon to 2pm that help area schools and nonprofits that service the community. On the MLK Day holiday the Charlotte-Mecklenburg community recognizes citizens who uphold the values Dr. King preached with the Dr. Martin Luther King Jr. medallion award. Members of the community nominate Charlotte residents for the award and the Community Relations Committee selects one nominee to receive the award. The winner will receive the medallion at a presentation during the Carolinas HealthCare System Charlotte-Mecklenburg Martin Luther King Jr. National Holiday celebration. Honor the man of the day by attending the Dr. Martin Luther King Jr. Memorial Service at Marshall Park. The hour-long event takes place on Dr. King’s birthday every year. The community will commemorate the life and death of Dr. King, which includes a wreath laying ceremony. The Carolinas HealthCare System Charlotte-Mecklenburg will also hold the Martin Luther King Jr. National Observance event on January 15th. The free event features the artistic work and performances by local school children. Our moving bovines will be working in between the MLK Day celebrations. Our professional packers and movers take the work off your hands so you can join the fun and spend time helping the community. We also know how to navigate around the parade route and revelry so your move goes off without a hitch. Give us a call or use the online form to get a free moving estimate!